I am not sure how you eat that man. Mmm, delicious. I am a big fan of fish, it is better than meat. 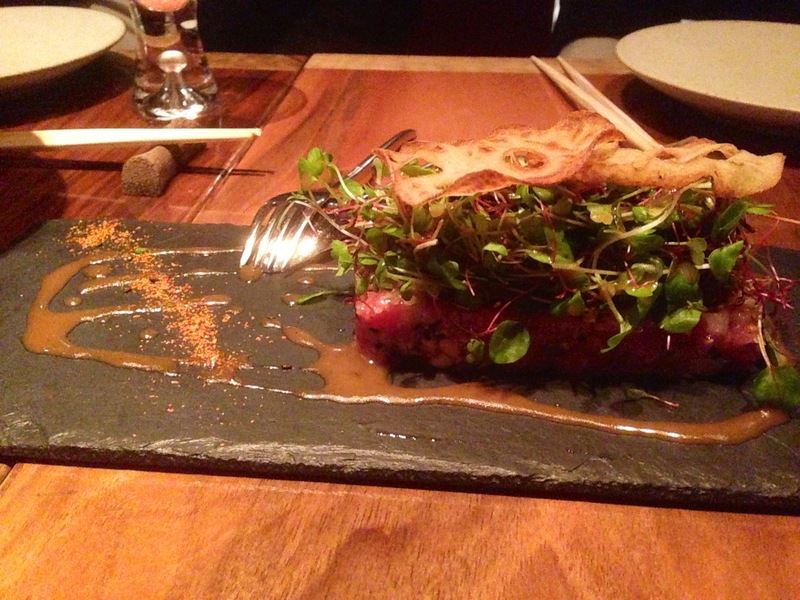 It looks yummy even though I’ve never tried tartare I would definitely give that a go. why the hell really loves upload pictures of food ??? It looks delicous and i guess it tastes awesome!!! Yummy! damn now I’m craving. I would like to have the recepie. Is it possible? looks absolutely gorgeouse and my mouth is watering,yummy. How would I feel if I was a tuna? Being a vegetarian, I cannot eat a sentient being that is an endangered specie. My apologies for my honesty.